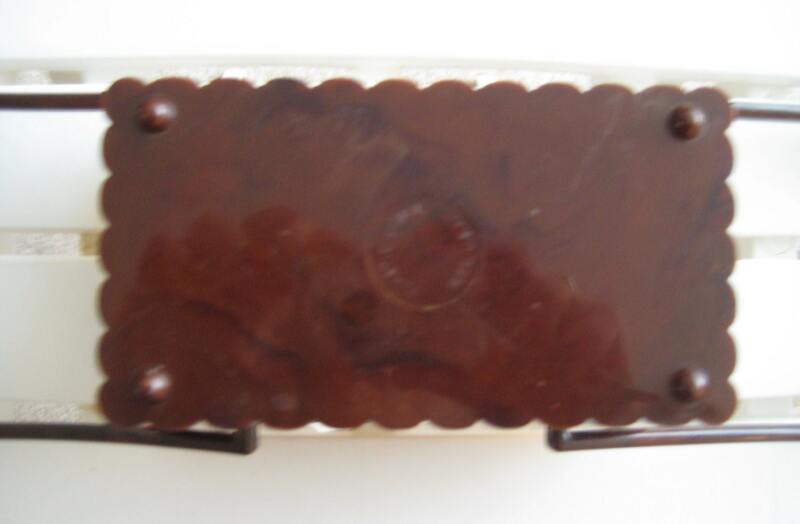 Two-tone Lucite box purse with etched spring close lid. 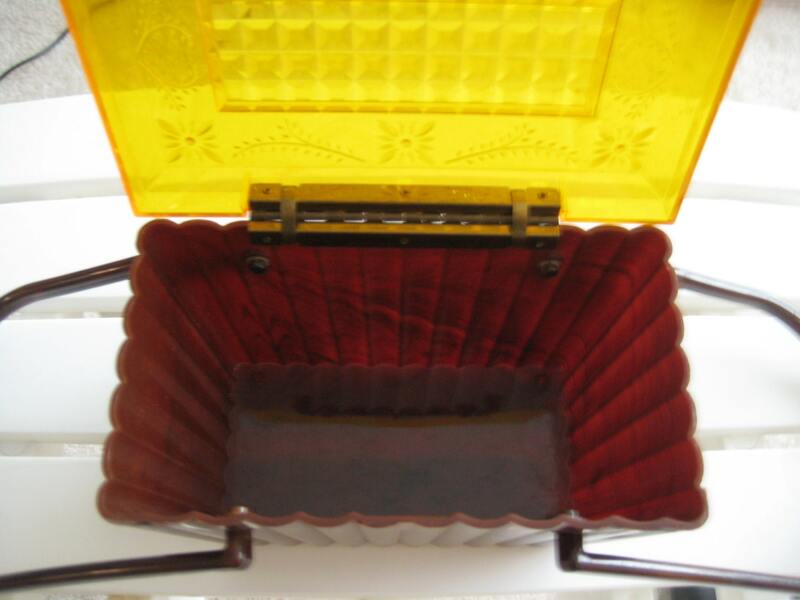 The bottom is a tortoise color with a scalloped pillar design. 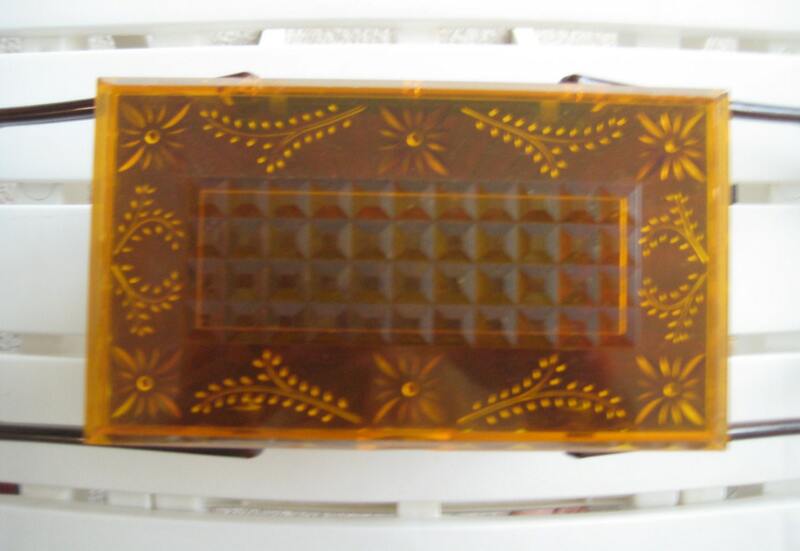 The top is a gold/light orange color with a pretty etched design. 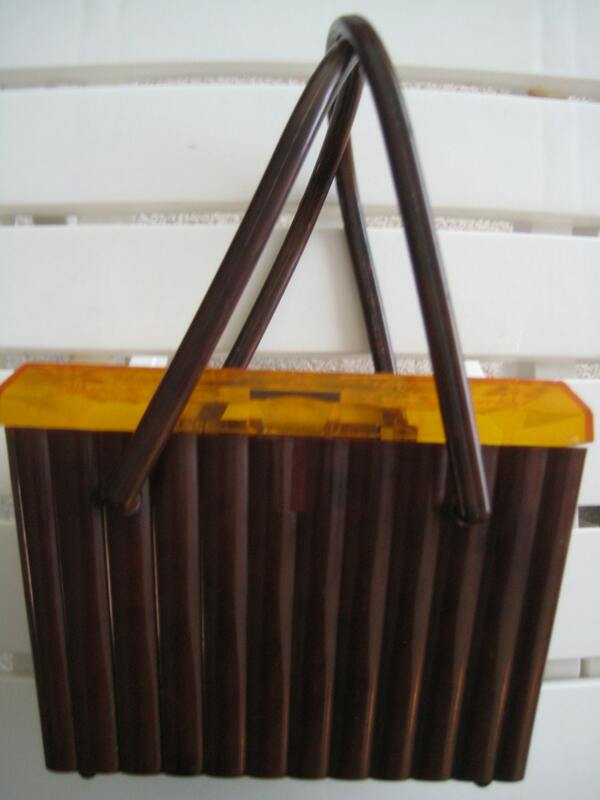 Tortoise colored swivel handles with a 5 inch drop. The bottom of this cool bag is marked with "Plastic Jewel Made in the U.S.A." Dimensions: 7 inches long x 5 inches high x 4 inches wide. We have two of these cool bags. Grab one for your and a friend!